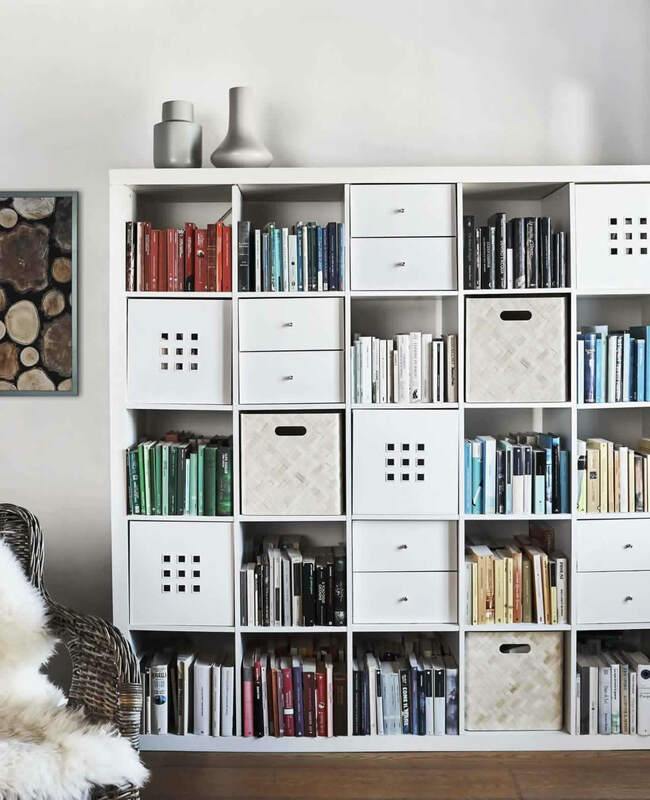 Find new ways to display by customizing your KALLAX unit with accessories and add-ons. 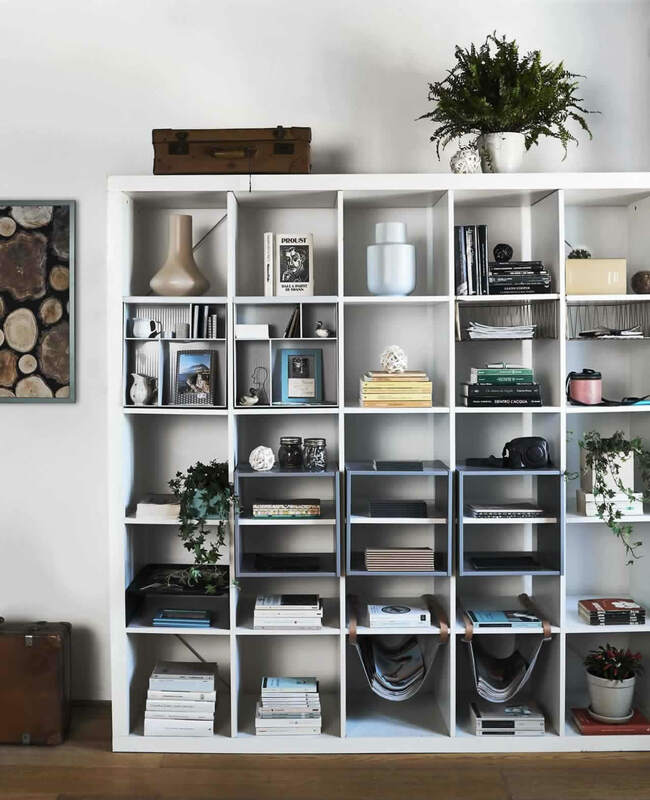 Using hanging hammocks, shelf dividers and wire-basket inserts, stylist Ashlyn Gibson treated each alcove like a mini gallery to showcase objects Elisa has collected. 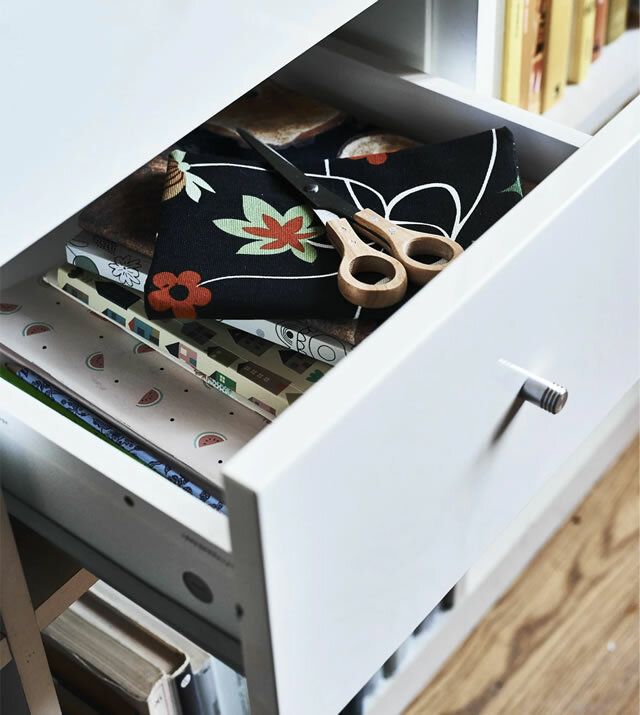 These additions also create extra storage space. 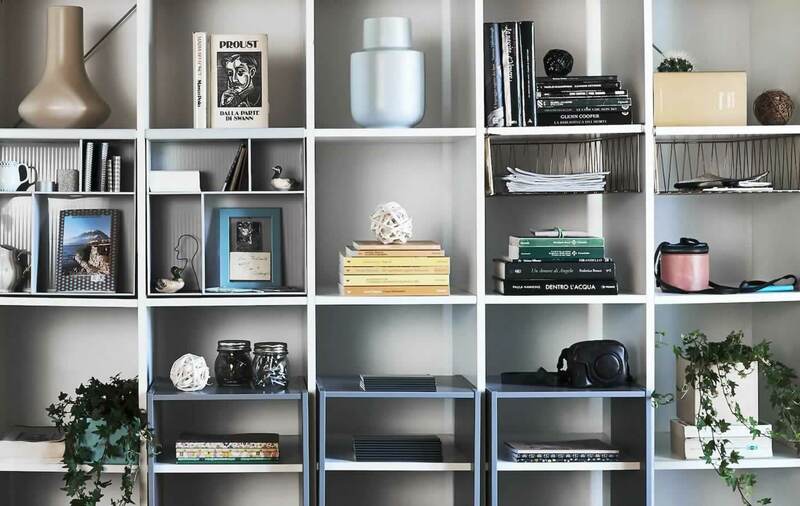 Safety tip: for all of these ideas, remember to fix your unit to the wall. Keep secrets behind closed doors. 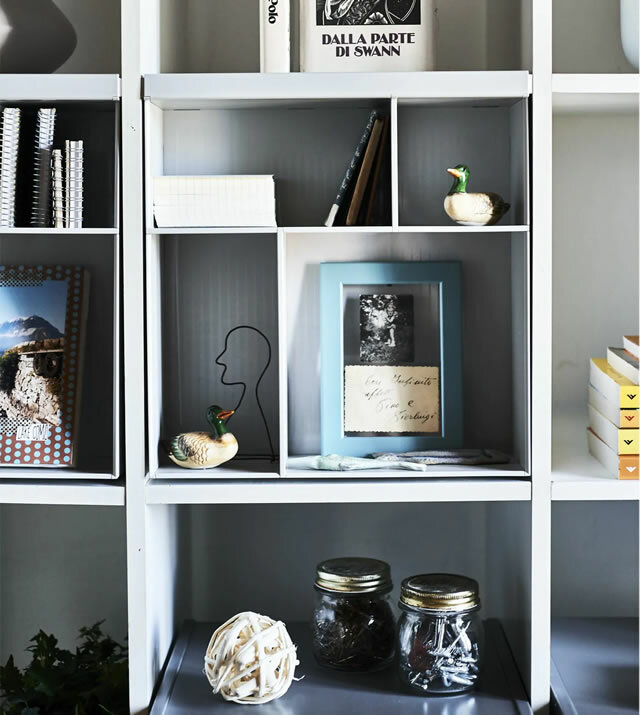 Create a calm balance between what you can and can’t see by adding storage boxes inside alternate alcoves. 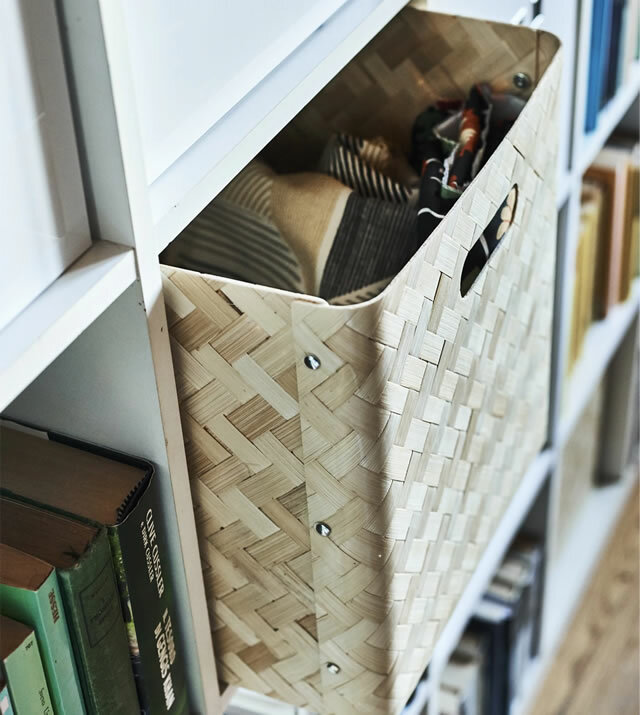 The mix of white drawer inserts and natural baskets lets Elisa store small items that aren’t meant for display, while drawing attention to her color-coded collection of books on show. 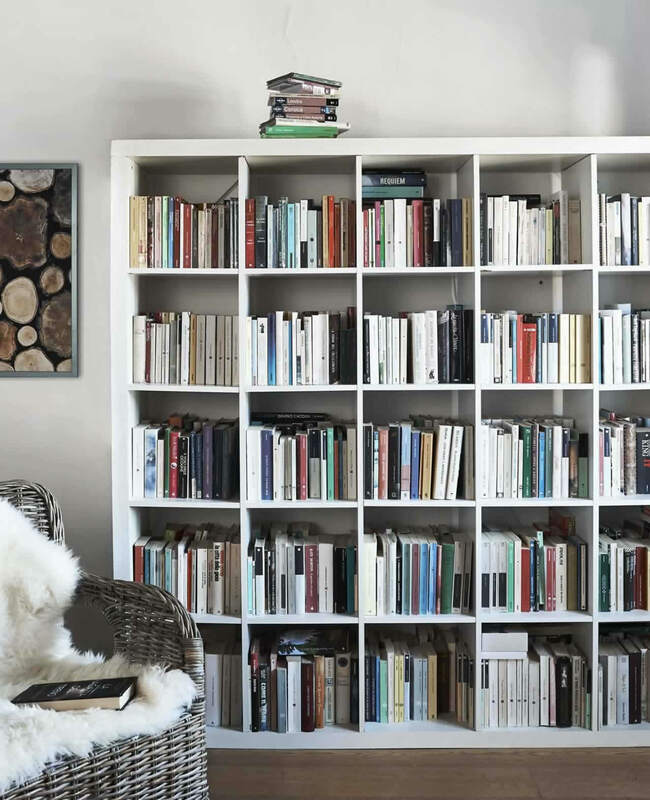 Elisa is an avid book lover, so of all the solutions, she found that using KALLAX as a home library suited her best. 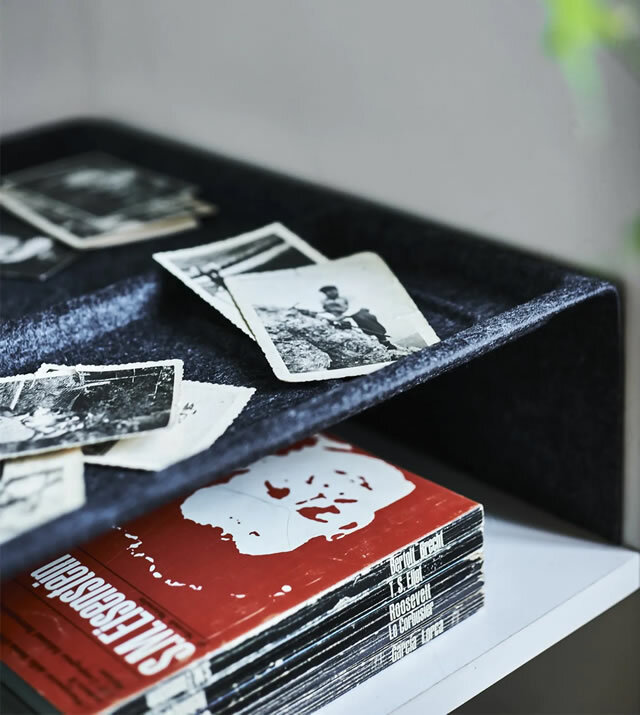 If you haven’t got the patience to order them alphabetically (like Elisa! 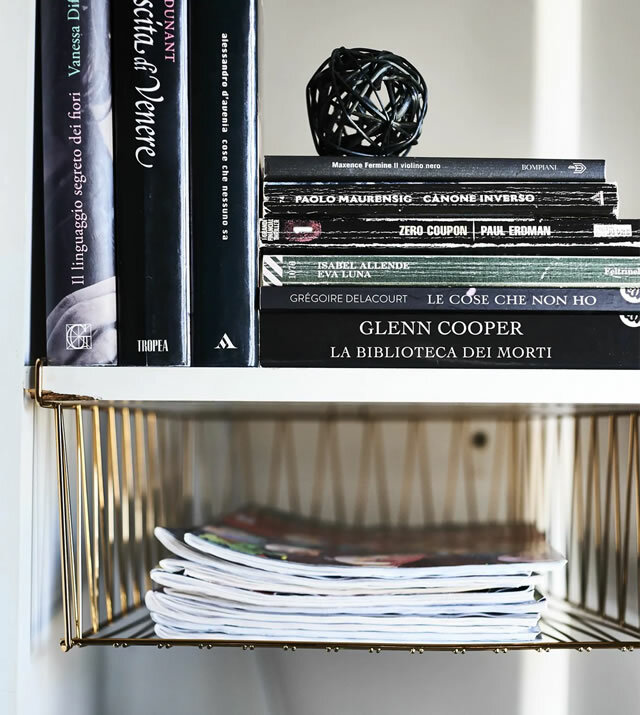 ), place your most-read books at eye level so that they’re easy to find. 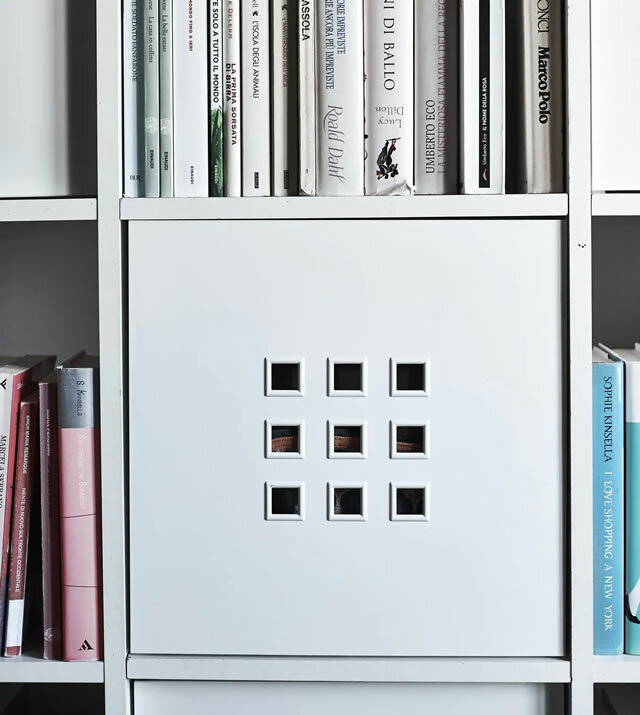 And if your collection keeps on growing, the unit is deep enough to layer one row in front of another.